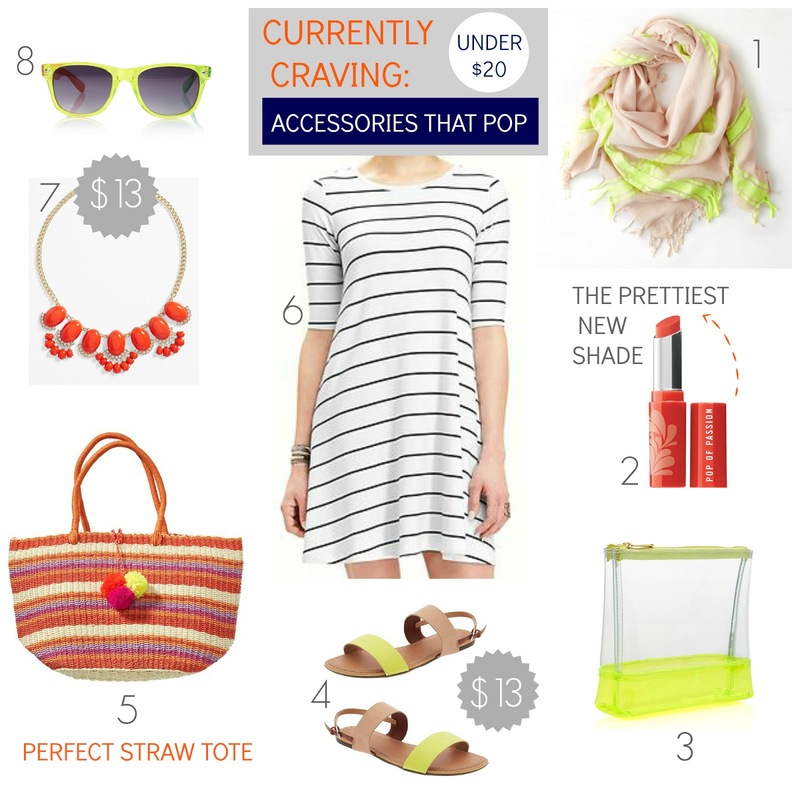 Tracy's Notebook of Style: Currently Craving: Accessories that POP under $20 + Old Navy 35% off! 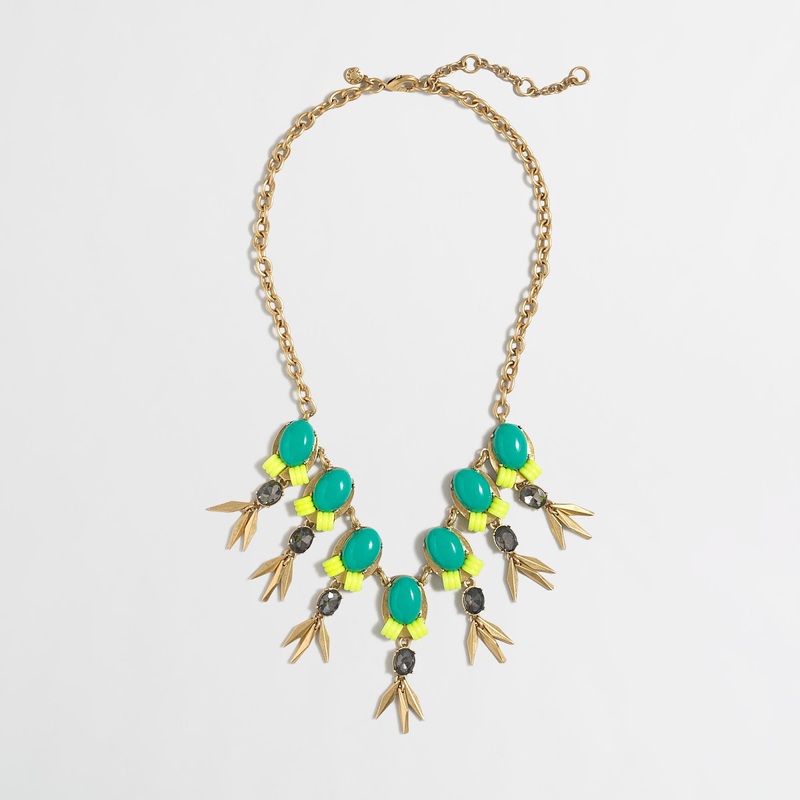 Currently Craving: Accessories that POP under $20 + Old Navy 35% off! Once the weather starts to heat up even more, I love to start incorporating pops of color into my everyday wardrobe. Wearing a plain white tee or basic stripe and adding a neon scarf or brightly colored bag is the easiest (and most affordable) way to update your look for spring. Here are my favorite accessories to punch up your outfit and everything is less than twenty dollars! 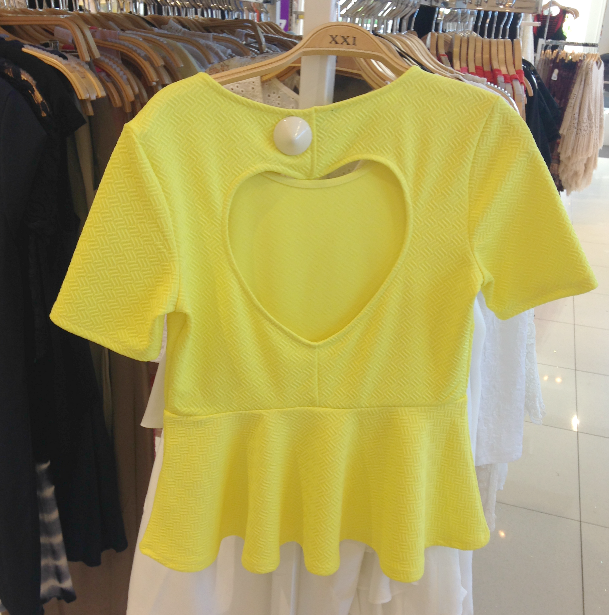 Do you like to add a pop of color to your everyday look? 1 Fringe Scarf $19.99 There is nothing I love more than a neon scarf, one of my favorite way to add some color and chic style to my look. 2 Bare Minerals "Pop of Passion' Lip Oil Balm in "Tangerine Pop" $16 You must see this new collection in person, I still haven't decided which color(s) to buy and the formula is a moisturizing balm-lipstick hybrid, great for hot days when you don't want to wear a heavy lipstick. 3 Clear Pouch $5.90 Love a clear makeup bag so I can actually see stuff, a good idea for the beach to hold all sorts of small things you don't want to lose. 4 Sandals $12.96 ($19.94) I've been waiting for these to go on sale, they remind me of J.Crew's version last season and are a steal at this price! 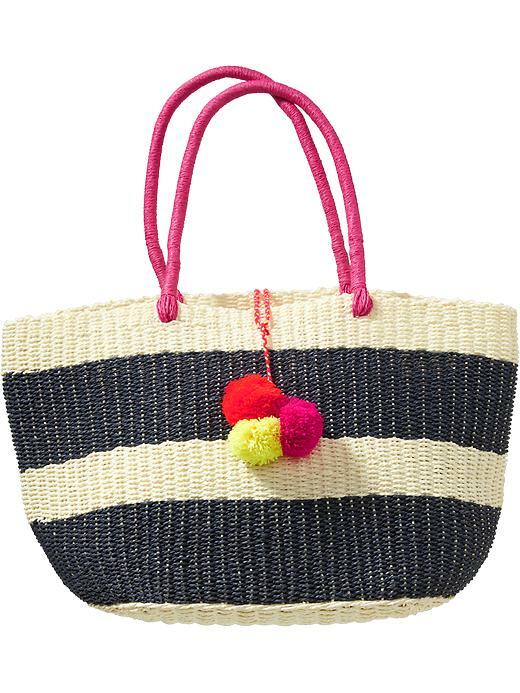 5 Straw Tote $19.46 ($29.94) *also in a navy version! This is the one item I found online that I haven't seen in person yet but that's not stopping me from sharing this perfect looking tote since I have yet to see one from Old Navy this year that I didn't love. 6 Stripe Dress $15 ($26.94) This is a very simple and cute t-shirt dress to throw on for a casual weekend. 7 Statement Necklace $12.98 ($26) *also in mint Loved this statement necklace in person, the mint color is really pretty too if you aren't looking for a super bright "statement". Wayfayers $5.90 A super affordable and fun pair of sunglasses. Navy Tote is so chic! 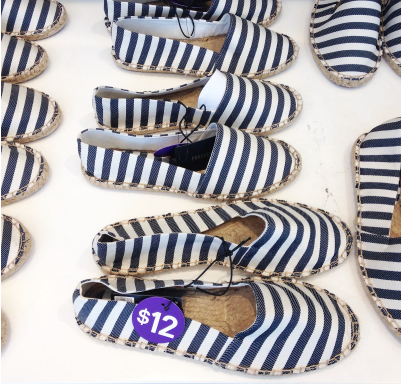 These Espadrilles for $12 (reg $16) are a steal! Nordstrom Over 60+ Beauty Gifts with Purchase here + Free Shipping always - no min! *They are also "price matching" Bloomingdales 25% off discount on identical items, also in store. Target BOGO event, Buy 1 - get 1 for 50% off selected clothing, shoes and accessories. Loving all these pieces, Tracy! 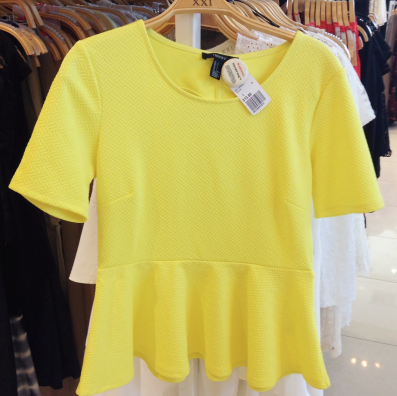 That yellow eyelet dress is adorable. And I'm determined to find a cute striped dress for this summer so I may have to check out your option! I'm a sucker for a striped dress. I love the accessories you've paired with it, that's something I'm useless at. That's given me plenty of inspiration! I am always looking for easy way to add color in and get me out of the dreary winter clothing I bundle up in! These are great picks, and I love that Bare Minerals lip balm- I can't wait to try that out! Thanks, it's so fun to add some color once spring is here and the new Bare Minerals collection is so pretty! Great picks I love the neon colors! Lilly Pulitzer for Target Lookbook is Here! TJMaxx 30+ In Store Pics! Instagram Notebook + $400 Giveaway + Sales! Friday Favorites: under $25 + Sales! JCPenney In Store Pics of New Brand! Old Navy Store Pics + 35% off Discount! 5 SALES to Shop before the weekend! Target Tuesday: Must Haves + Deals! Marshalls: Bags + Shoes in-store pics!